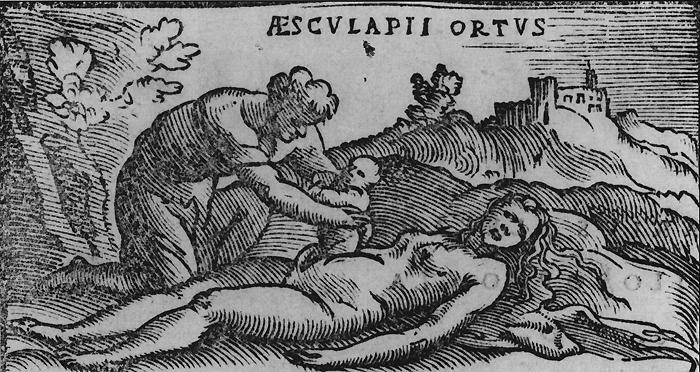 Births by cesarean section are so common these days that it is easy to forget what they were like before the advent of modern medicine: desperate gambits to save a baby by sacrificing the mother. Cesarean births are mentioned in history and literature going back to antiquity, but the severe pain and stress, loss of blood and likelihood of infection usually added up to a death sentence for the woman, if she was not dead already. When did all that start to change? When and where did both mother and child first survive a C-section? Would you have guessed medieval Prague in the winter of 1337? Neither would most historians, until a team of Czech researchers recently found an apparent case at the court of John the Blind, King of Bohemia and Count of Luxembourg. John’s second wife (and second cousin), Beatrice of Bourbon, gave birth to her only child, Duke Wenceslaus I, on Feb. 25, 1337. Beatrice, a teenage queen consort, had a pretty rough time of it, according to archival documents turned up by the researchers. At that point, he said, shock may have saved her life by keeping her from bleeding excessively. Prague in the 14th century was a center of European learning, and the royal court of Bohemia would have employed the leading doctors of the time, a best-case scenario for Beatrice to recover from major abdominal surgery. And recover she did, to live 46 more years. What about Julius Caesar, for whom the procedure is mistakenly said to have been named? No, historians say, he couldn’t have been born that way — his mother survived.